Across the country, schools are serving culturally relevant meals and addressing greater inclusion. School lunch has changed since the days of mystery meat, swampy broccoli, and canned fruit—but not much. Thanks to a set of rules that went into effect in 2014, most schools now serve a little more fresh fruit and vegetables, more whole grains, and less sodium overall. But that doesn’t mean school food isn’t still often flavorless and generic at best. And lunch ladies still hand meals to students on a compartmentalized plastic tray, before they must race to finish eating in the 11 minutes of a 20-minute lunch break that remain. But for students coming from diverse families, lunch can be especially grim. Tacos aside, the menu options often suggest a universal idea of what constitutes American food, and also don’t always accommodate for dietary restrictions; the students who cannot eat pork or beef often don’t have anything to eat at all. Now, a change is underway. Cafeterias have begun to incorporate ingredients like wild rice and buffalo and serve items ranging from poi to fajitas. From Vermont to Hawaii, food service directors across the country are devising an array of solutions to the lack of diversity in school food. Whether through catering to traditional dietary cultures or teaching kids about native foods and their preparation, school food programs are beginning to see their students’ once-marginalized cultural traditions and dietary needs of as a wealth of opportunity. Not only can such programs foster community engagement, they could also increase the number of students buying lunch. The goal of any food service director is two-fold: feed students and break even. Nationwide, about 95 percent of public schools participate in the National School Lunch Program (NSLP). Of the schools serving lunch, 92.2 percent also participate in the School Breakfast Program (SBP). These federal child-nutrition programs provide subsidies to schools, which must provide free or discounted meals to students who meet eligibility requirements determined by family income. Most public school food-service programs operate on tight budgets. But with careful planning, schools can in fact save money as they prioritize healthy, local food for their students. By focusing on using more vegetables and legumes in lunch menus, often sourced from local farmers, schools have been able to reduce costs and deliver more wholesome meals. In an effort to get more kids to eat in the cafeteria at all, many schools offer à la carte options influenced by fast food brands and marketing such as nachos and pizza—a practice author and school food researcher Janet Poppendieck discusses in her work. Served in a separate line from the federally mandated food, and independent from federal nutrition guidelines, schools serve whatever they want; kids who can pay for it gravitate towards the flashier options, while students dependent on free or reduced-price lunch don’t have much choice. As a result, many kids opt out of the federal meal altogether, not wanting to carry the stigma of needing social assistance. The fewer kids who participate, the less resources a school has, minimizing its capacity to expand and diversify offerings. Schools looking to offer more diverse food options have to figure out how to overcome obstacles like these. Doug Davis has worked as the food service director for Vermont’s Burlington Unified School District for 20 of his 27 years in school nutrition. He strives to offer his students culturally appropriate and healthy food, and the ability to choose. 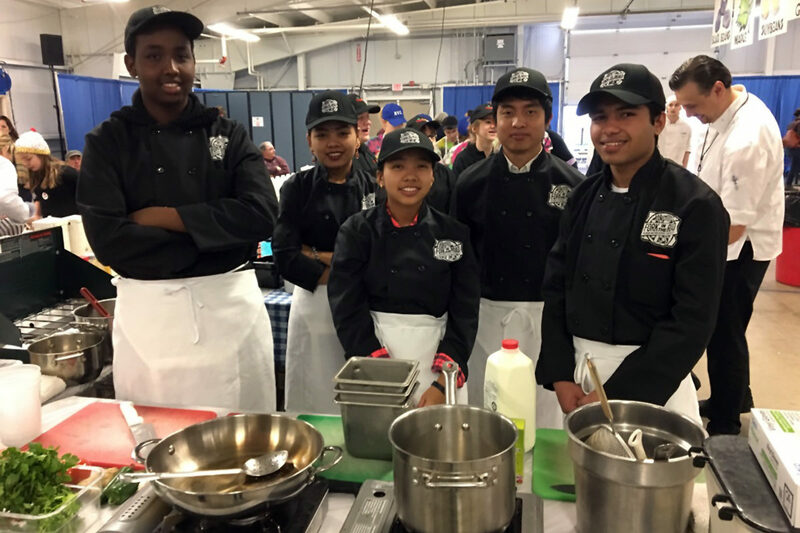 Burlington is a refugee resettlement city, and as a result, students there speak 56 different languages and come from families with nearly as many different food traditions. To better serve Muslim students, the district about a decade ago switched its hot dogs from pork to beef. More recently, the cafeterias made another switch in response to the growing local Nepalese community that does not eat beef—this time to a turkey dog. Davis began reinventing the lunch line back in 2003 through a district-wide farm-to-school program that expanded his already-established relationships with local farmers and producers. 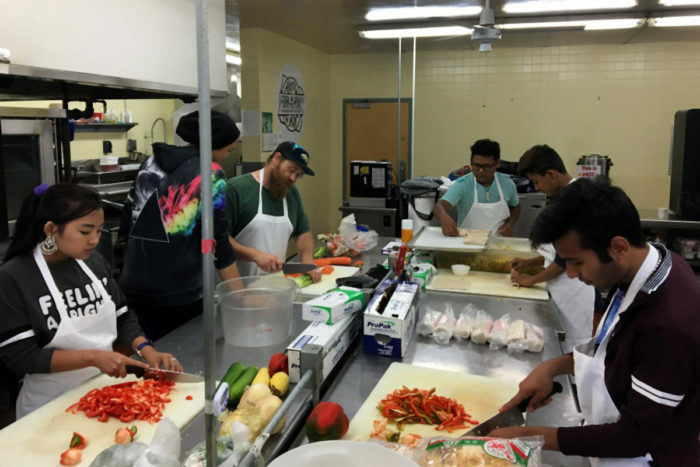 The district also began offering more choices, as well as culturally relevant and diverse foods, to help revolutionize the way it delivered the required quota of fruits and vegetables such as DIY phở and burrito stations—with veggie requirements—and a cook-to-order stir-fry line. “We’ve found that when kids choose their own vegetables, they consume a higher percentage of them,” Davis said. New Americans especially, he noted, love being able to choose. Nearly 5,000 miles away in Kauai, Hawaii, efforts to incorporate culturally relevant foods have met a different set of challenges. For one, the federal nutritional regulations and guidelines don’t always accommodate local realities. For instance, they consider the highly nutritious taro, a staple of the Hawaiian diet, as a starchy vegetable rather than a grain substitute, which more accurately represent its traditional uses. And traditional Polynesian foods like ulu (or breadfruit) is uncharted territory. 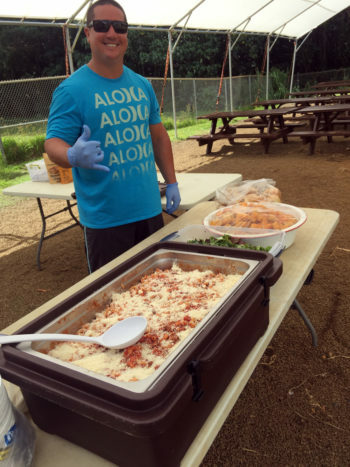 And so, when two charter schools in Kauai lost their food-service vendors in 2015, Megan Pittsley-Fox, executive director of the nonprofit Mālama Kauaí saw an opportunity to build a school nutrition program from the ground up. 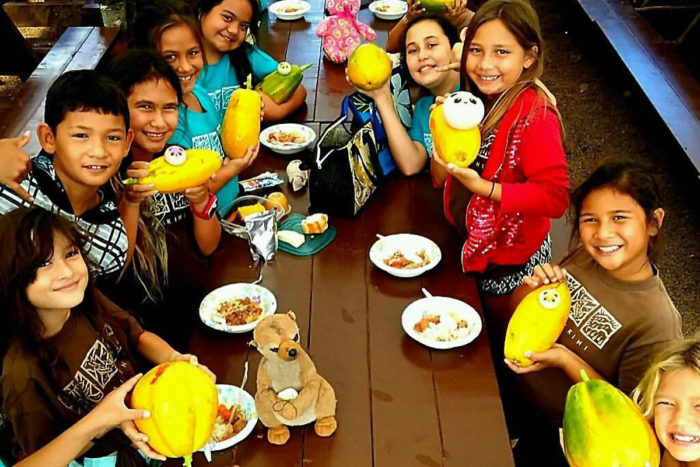 Mālama Kauaí, which runs school gardens and nutrition education programs on the island, received a grant from the Office of Hawaiian Affairs to design and implement a farm-to-school pilot program that would prioritize farm-to-school sourcing and reflect local traditions. In early 2017, it was also one of five organizations to win a mini-grant from the National Farm to School Network to develop programming as part of the Seed Change In Native Communities project. The other four are participants are the Hardin School District (Montana), Hydaburg City School (Alaska), Indian Township School (Maine), and Warm Springs K-8 Academy (Oregon). With the financial support, Mālama Kauaí has partnered with two schools so far, including the Kawaikini New Century Public Charter School, a K-12 institution that provides an education based in native Hawaiian culture, to develop the new programming. The nascent farm-to-school program at Kawaikini eventually aims to serve students breakfast and lunch every day and source 60 percent of meat and produce from Hawaiian farmers and producers. For now, a community member serves as its food service vendor, providing meals three times a week, every other week, to students. Traditional items like poi—a pudding made of taro flour—make regular appearances, but she also gets creative, turning taro into veggie burgers and yogurt. And the meals feature produce from the new school garden. “We think it’s pretty cool and fun,” said Kawaikini students Hekili Paloma, Makoa Martinez, and Kalei Taylor. Their class often works in the garden that was built to contribute to the meal service program. Lunchrooms like this can serve as a central point for bringing farmers, elders, schoolteachers, and families together, but the work isn’t just in the cafeteria. Through school food programs, kids are learning not only about local foods and native traditions, but also about a resilient network of relationships and knowledge. Top photo courtesy Doug Davis.